Development of the SA – 4 began in 1957 by the Lyulev OKB design bureau. It was first displayed during a parade in Moscow in May 1965. The system started to be fielded in 1967 and became fully operational in 1969. 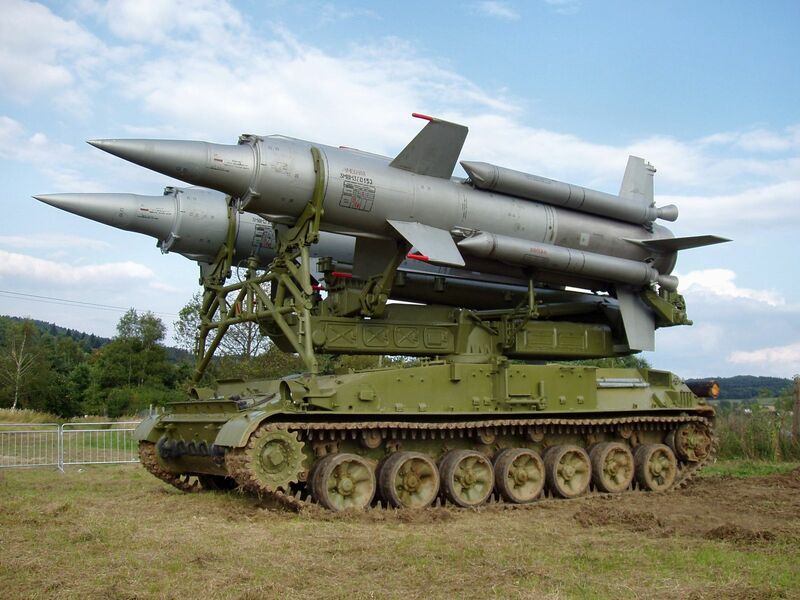 It was used by the Russian Army as a long-range SAM. The 2K11 was briefly operated by the Soviet army during the war in Afghanistan in 1979 and 1980, but was withdrawn several months after the initial invasion. 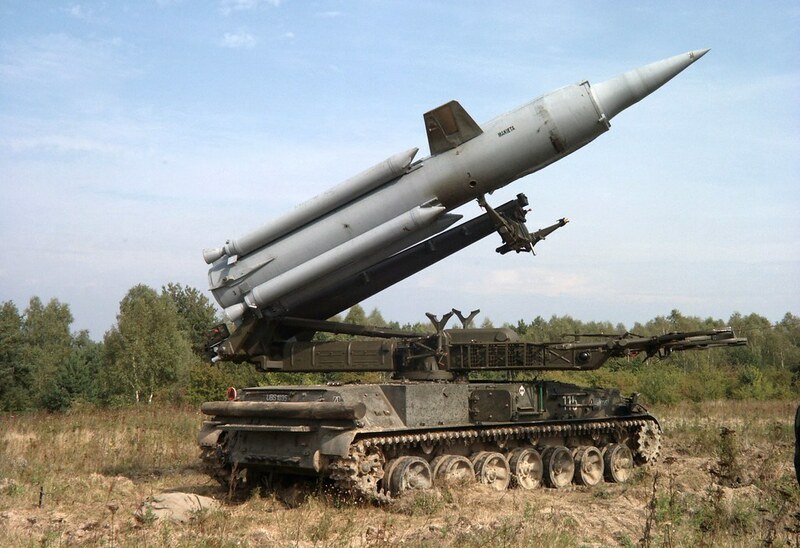 In 1997, it was reported that, between 1993 and 1996, some 27 fire units of Krug and 349 missiles had been sold to Armenia. The missiles are launched with the aid of four solid fuel rocket motors inside boosters attached to the outside of the missile. Once they have burned and the missile is aloft, a liquid-fuelled ramjet sustainer engine is ignited. It reaches speeds of up to Mach 4 and has an effective range of 50–55 km (31–34 miles) depending upon the version. It carries a 135kg (300 lb) fragmentation warhead. Possible engagement altitudes range from 100 m to 27 km (330-88,500 feet). An SA – 4 site has two radars. The P40 “Long Track” target acquisition/early warning radar has a range of 175 km/108 miles and is used to provide situational awareness and allows the SAM site to ready itself to repel airborne attackers. The “Pat Hand” continuous wave radar provide missile guidance and target tracking operates in the H band and has a range of 128Km/80Miles. 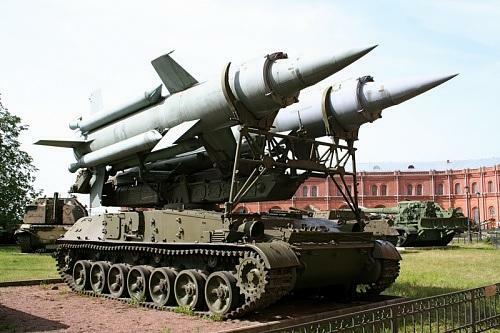 The SA – 4 fires a missile that travels at Mach 4 or more commonly referred to “MACH JESUS!”. But in practice the art or avoiding an SA – 4 launch is the same as dodging any other early soviet SAM. Upon the successful launch of an SA – 4 at your aircraft locate the missile by looking for a similar smoke plume left by the first and seconds stage of the missile launch. Then place the missile on your 3 – 9 line and deploy counter measures at intervals of your own discretion. When the missile is about halfway to your aircraft perform a break turn into the missile to overload its tracking and cause the missile to overshoot. Due to the massive speed and size of the missile the SA – 4 is relatively unmaneuverable however its speed more than makes up for this. In a break from tradition I do not recommend attempting a drag defense against an SA – 4 because of its speed it is nigh impossible to defeat an SA – 4 kinetically. Once again, if an SA – 4 launches at you and you cannot visually locate the missile then the same process applies, however you will need to use your instruments to help you in the process. Use your RWR to find the rough bearing from you and place the missile on your 3/9 line and slice turn into the missile. Again a kinetic drag defense in not advised. To render the SA – 4 site useless you are advised to destroy the “long track”, “Pat Hand” and the missiles to completely destroy the SA – 4 site. In BMS the SA – 4 is used heavily in the Balkans theatre. In both Korean and the Balkans theatres the SA – 4 is used as the first layer of long range air defense that is highly difficult to kill because it is a mobile SAM and can relocate if necessary, however this does mean that sometimes you can catch the SA – 4 off guard as it is transiting from one waypoint to another. The SA – 4 must be stationary to launch and has a setup time.